At some point, everybody is a project manager. From planning a birthday party for a 3 year old to delivering a complex application for a banking client, the way you get the tasks done is called project management. But just because humans are social, that does not make the application of project management to your tasks – Social Project Management. It is clear that few people know what Social Project Management is yet or how to use it. The other day I found a perfect example of the misuse of the term Social Project Management. While doing my daily internet reading I stumbled on an article called Social Project Management: A Necessary Element for Success. It was about managing a social media strategy by using project management (which is a great idea). They were applying traditional project management to a project whose product was a social media strategy. That is not Social Project Management but project management of something with content, that just happens to be about something social . Obviously, when a concept is very new, it can easily be misunderstood. As business moves more and more into the social spaces, and with downsizing, rightsizing, the push to a ‘results only work environment ‘ and the advent of ubiquitous computing power in the hands of all employees, people are becoming what I call ‘accidental project managers.’ It is not their job title, or even something they knowingly pursue, but employees are personally managing a broader range of tasks in their work assignments and the flow of the information they use and create now sits in their hands more than ever before. Team sizes are shrinking and practitioner work load is increasing and each person is taking on the responsibility for self-directed delivery. Everyone is doing mini-projects and becoming an accidental project manager. 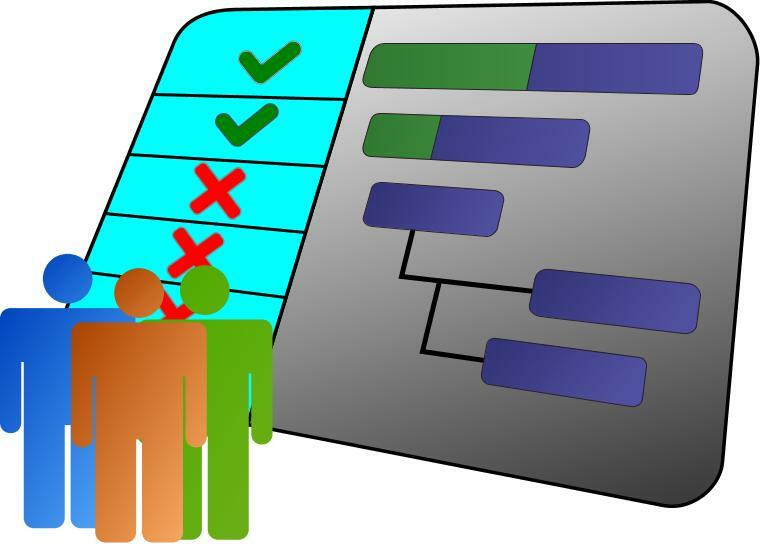 Not that accidental project management is bad at all, I think it is perfect for adoption of Social Project Management. In response to the shift in business priorities and organizational transformations, project management has been becoming more agile over the last few years, and it should. By leveraging the good work being done in social design, a few early adopters are starting to break down the silos, streamline collaboration, and drive transparency into the dynamism that characterizes a project. This is enabling collaborative productivity across small teams, empowering small-scale projects to leverage the transparency of social media, keeping everyone up-to-date and engaged. The new self-directed and open social project team (made up of Millennials, GenXers, and maybe some of us dinosaurs (me)), is hungry for a social way to collectively participate on their projects and in the success of the business. When you give people a deeper understanding of the process in which they are involved, a greater appreciation of the context in which they work (and make them part of creating it), and the opportunity to be directly engaged with the outcome, they will be more productive and more motivated. All that, from a little socialization. I am transforming my teams every day to work socially. Are you? Tell me what changes you are making with your teams to go social. Results-Only Work Environment is a management strategy where employees are evaluated on performance, not presence. In a ROWE, people focus on results and only results – increasing the organization’s performance while creating the right climate for people to manage all the demands in their lives . . . including work.